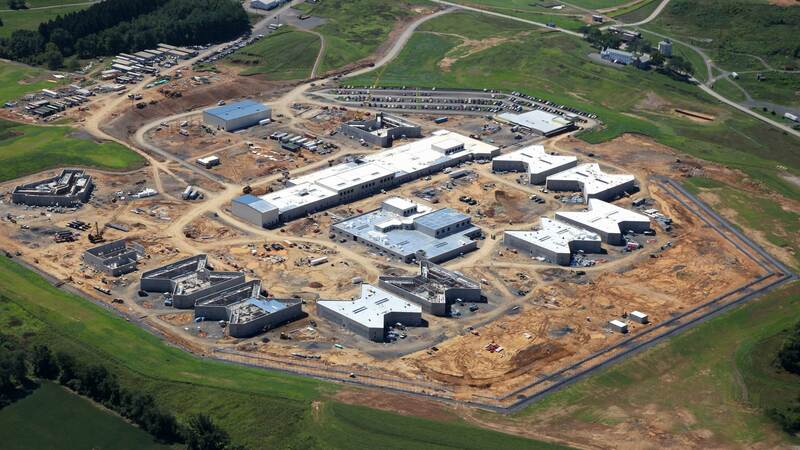 The State Correctional Institution (SCI), located in Benner Township/Centre County, Pennsylvania, is a $180 Million new prison facility. 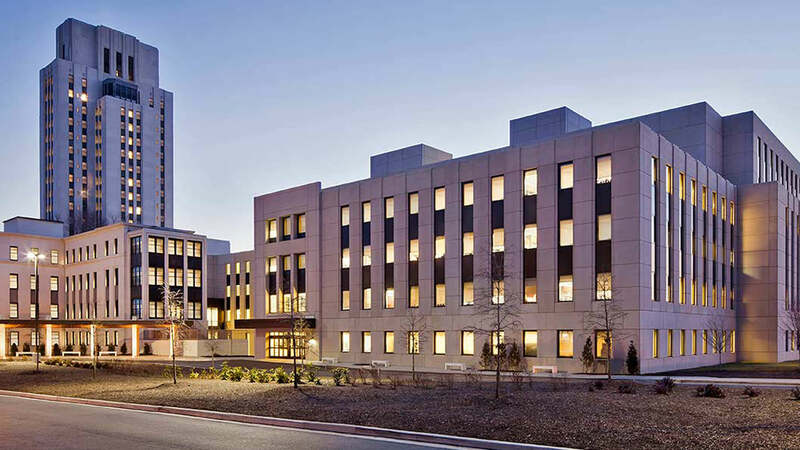 This Design-Build project was constructed in a carbonate rock (Karst) geologic area, on approximately 80-acres of land, adjacent to the original SCI-Benner correctional facility built in 1912. The project consisted of 15 new inmate housing units and nine support buildings. The structures were built on shallow spread foundations on a site that contained rock cut excavations approaching 50 feet in height and as much as 45 feet in height of embankment fills. Hillis-Carnes provided geotechnical engineering, carbonate rock mitigation grouting, special inspections, and construction materials testing. To gain a greater degree of confidence in our knowledge of the subsurface conditions and on-site materials, Hillis-Carnes performed an extensive subsurface exploration and laboratory testing program that consisted of soil and rock test borings, electrical resistivity (ER) geophysical studies, cone penetrometer and flat-plate dilatometer in situ testing, fracture trace analyses, and a laboratory testing program during which over 500 physical and strength tests were performed. Our engineering analyses included a detailed series of geologic drawings and profiles that included the approximate areas of rippable rock and rock requiring blasting, areas of potential poor soil conditions, profiles of geophysical and boring data and in situ test data. From this data we were able to recommend shallow foundations with relatively high allowable bearing capacities within acceptable total and differential settlement values. 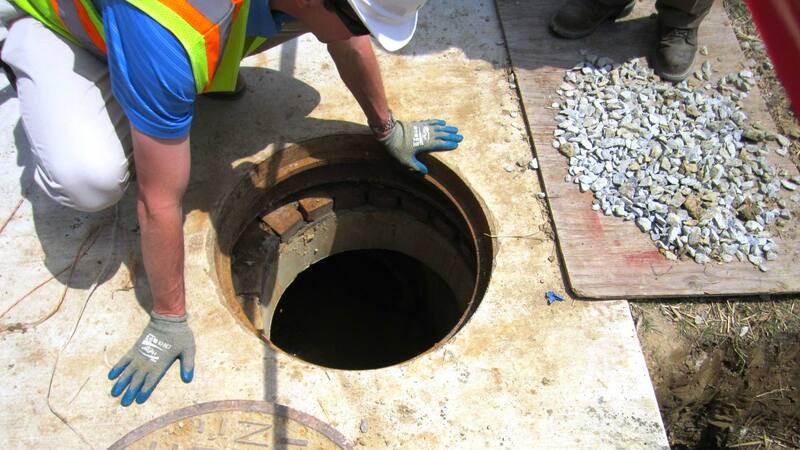 Under the RFP prepared by the Pennsylvania Department of General Services (DGS), Hillis-Carnes was given the opportunity to modify the DGS Standard Specifications. The changes suggested by Hillis-Carnes and accepted by DGS included an expansion of the optimum moisture content values for compaction, modifications to the specifications for use of excavated rock in the embankment fills, changes in compactive efforts from the modified to standard proctor field tests, asphalt pavement sections designed with higher CBR values, other modifications that maintained best engineering practices, and enhanced the construction schedule. The earthwork was completed several months ahead of schedule, which saved several million dollars in earthwork costs. Hillis-Carnes performed a carbonate (Karst) rock grouting program designed to mitigate potential Karst features such as sinkholes and voids. The data from our extensive exploration program formed the basis of the grouting program. Grouting was performed only where the exploration data indicated a need, thus saving both time and money. Both the geotechnical engineering program and the Karst grouting program were completed on time and within budget.